A tip for low maintenance girls- fake the awake look! You guys- I’m always tired. I have three young kids and it’s just the way it is. If you see me, hand me a coffee. I’ll love you forever. But seriously, when I go to school pickup in the morning I typically look like I’ve been hit by a truck. Other parents are always giving me a sympathetic look when they see me rolling in carrying one kid, holding the other kid’s hand, and telling my last one to hustle up as I walk us in faster than anyone besides me can walk because…LATE! I never mean to be running late, it’s just the name of the game in the mornings when everyone sits in a carseat, it’s the dead of winter, and there’s never a good spot left in the lot by the time we get there. 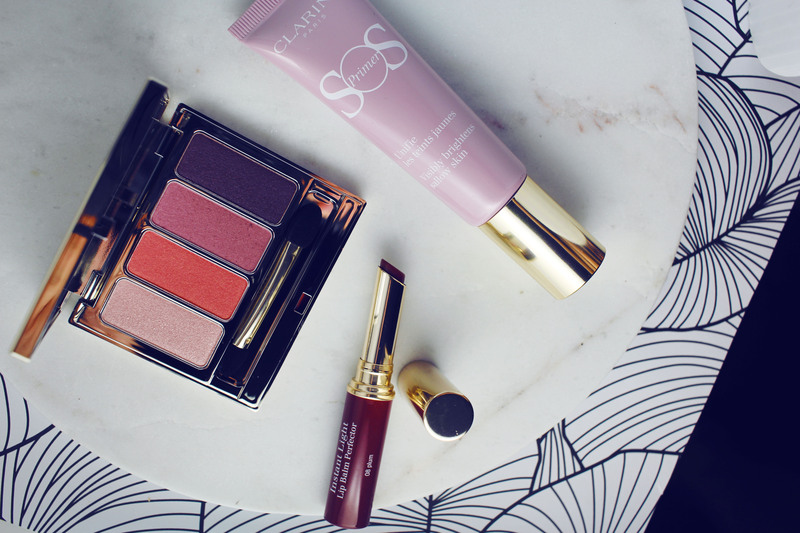 Clarins came out with some new beauty products for spring and I’m feeling the awake vibes I’m getting from all of this purple. I haven’t tried a lot of makeup from Clarins but color me impressed. My favorite color is purple, so I’m already really feeling these makeup goodies. My favorite of the bunch? Purple primer! If I dab a little bit of this on my face, follow up with a touch of mascara and some lip balm I instantly feel a little bit more put together. I’ve tried purple primer before and didn’t always reach for it. Admittedly, it’s not always a necessary step for me. But if I am going to school drop off and then heading to the gym to work out, and don’t want to wear makeup but don’t want to go with a completely bare face, this purple primer is where it’s at. 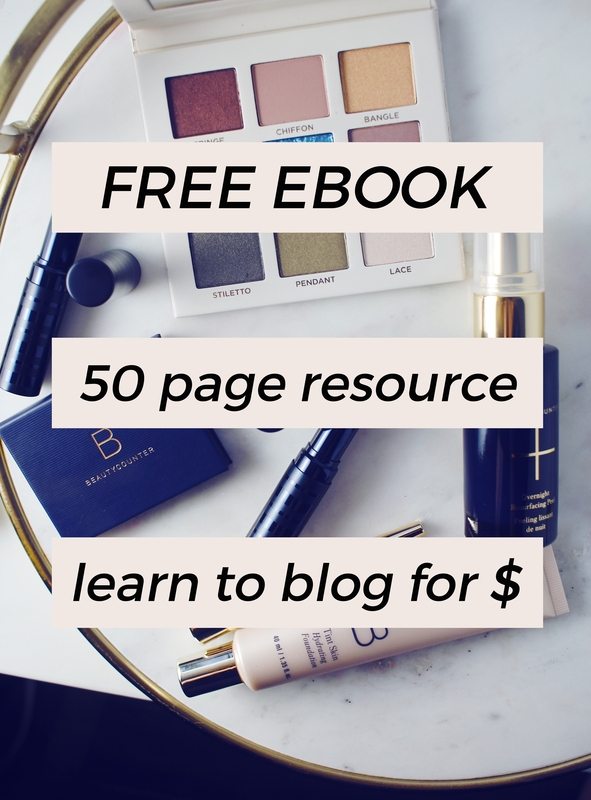 It’s low maintenance, it’s quick, and it does make a noticeable difference in the brightness of my skin. 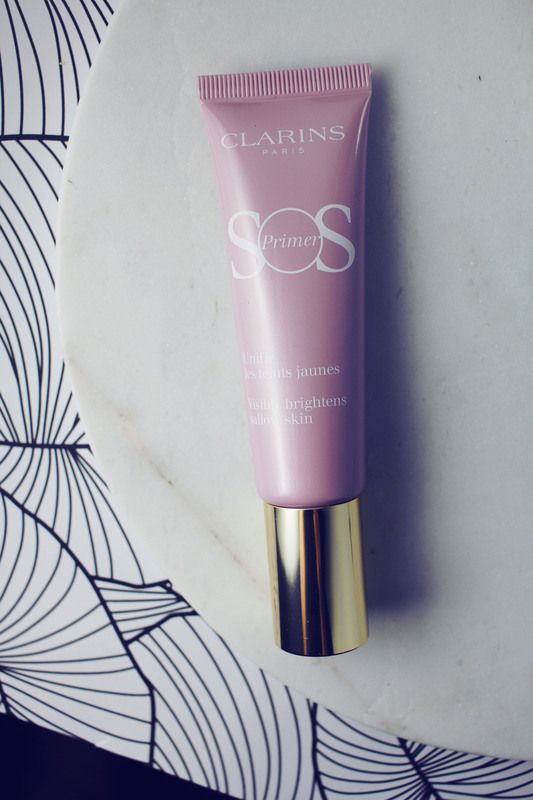 Clarins SOS Primer in 05 Lavender instantly neutralizes sallowness for visibly brighter skin. Use alone after your daily skincare routine or blend with your foundation for a perfect, even complexion! Purple primer doesn’t have to be your only secret weapon in the mornings. I’m also LOVING a colored lip balm. I’ve been stashing this one by Clarins in my purse and using it all the time when I’m on the run. It totally reminds me of Clinique Black Honey. 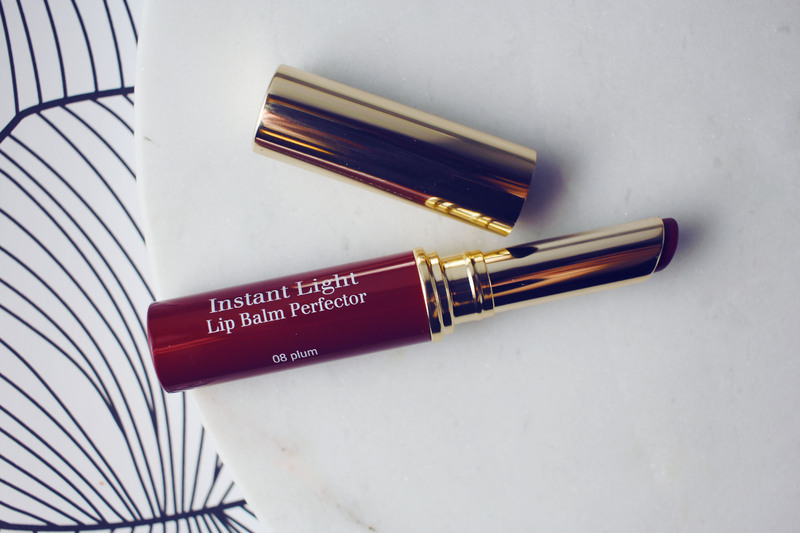 Clarins Instant Light Lip Balm Perfector in 08 Plum adds a vibrant shade of purple to your lips while leaving them supple and nourished. 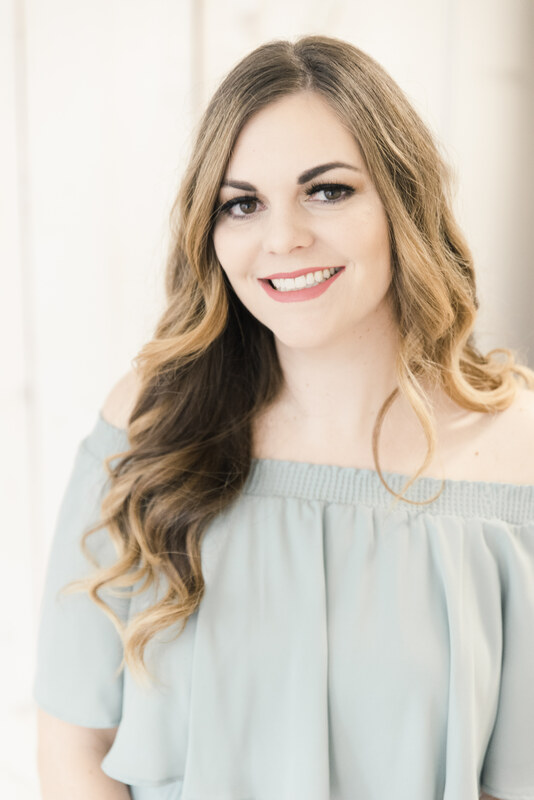 Not low maintenance, but PURPLE…if you are looking for something super fun and flirty for your beauty routine, look no further than the Lovely Rose palette. I love this because I wouldn’t have thought to pair coral with the rest of the color groupings but I’m LIVING FOR IT. So unexpected. So pretty. So fresh and springy. It’s everything I could want. Plus, that shade on the left makes a gorgeous highlighter! 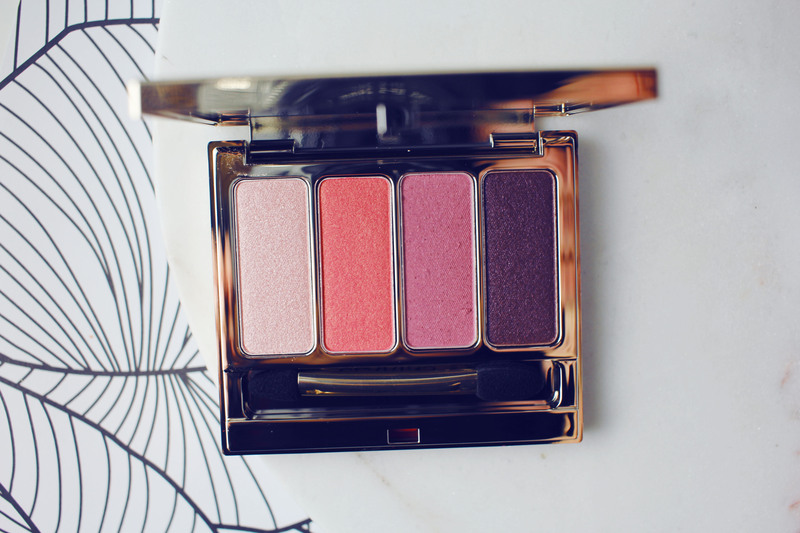 Clarins 4-Colour Eyeshadow Palette in 07 Lovely Rose comes in a new range of shades, from bright pink to aubergine, so go ahead and make your eyes pop from day to night. Linked below, here are some other purple beauty products for your complexion. I love the idea of a purple eye primer! Do you fake the awake look? Tell me your secrets! I’m always looking for a good beauty tip. +Beauty hack so you never have to buy muslin strips for at home waxing again!